Husband and wife team Krishna and Colleen Edakunni are professionally qualified accountants with MBA degrees. They have worked as financial professionals in various industries and together have more than 40 years of experience in consultancy, management, finance, project implementation and business development. 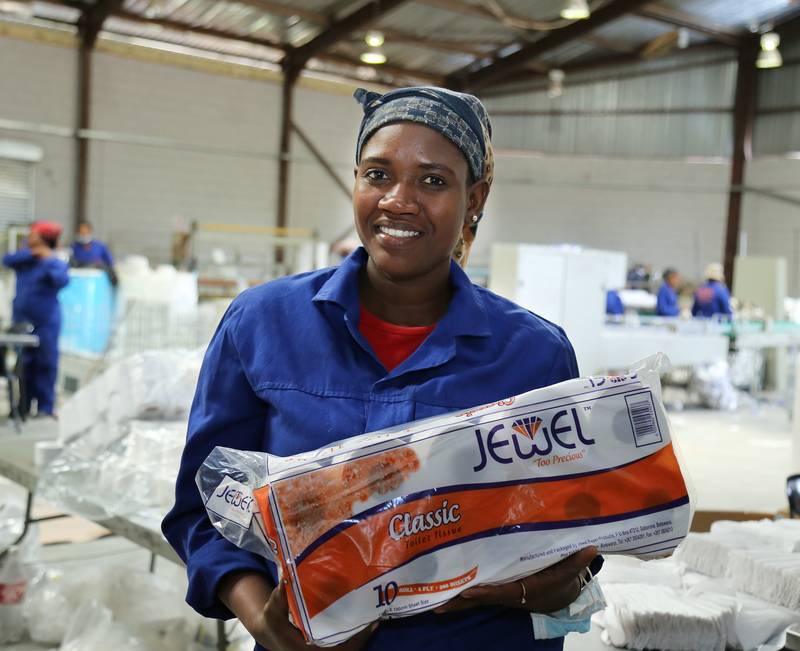 Before starting Jewel Paper Products in 2010, the couple recognised that there was a gap in the market for providing a range of locally produced paper products. 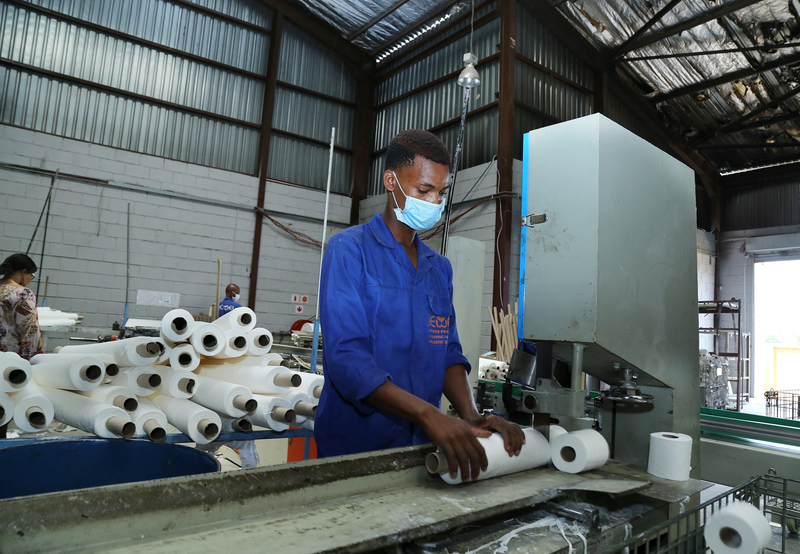 This was largely prompted by Governments policy to support the local manufacturing industry. Where did it all start and how long had you been thinking about going into this business? A big motivation was not only being our own bosses, but also contributing to the country by making our very own products. We also saw that we could help in creating employment for Batswana. We were fortunate to have been working with CEDA since 2003 as approved financial and business management mentors for CEDA funded projects. This helped us in understanding the requirements for seeking funding from the Agency and with our experience knew that we could make a success of this type of business. How did CEDA assist, was your business a start- up or expansion? After operating the business since 2010, we felt that the business was established and ready for expansion. 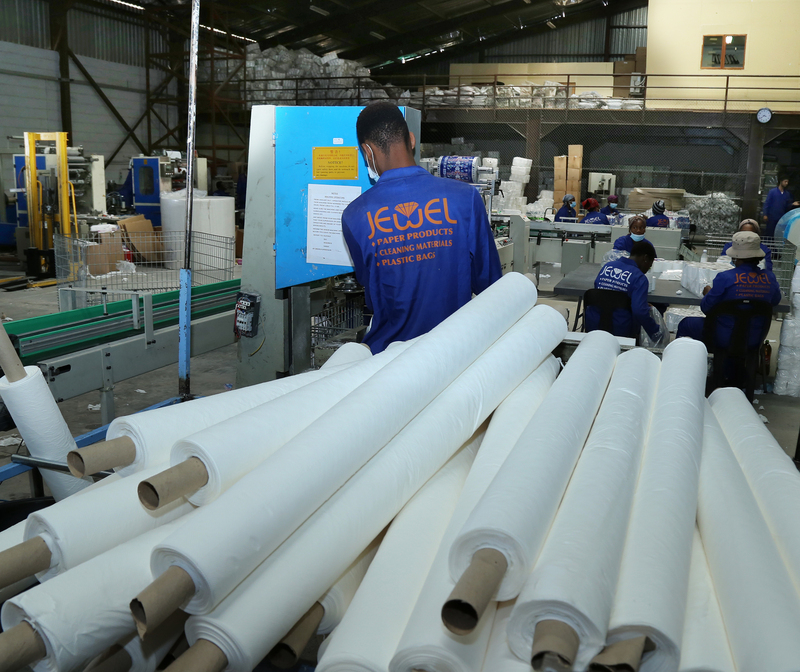 We approached CEDA for assistance with funding for expansion of our product lines, product improvement and further automation of our existing production process. Tell us about the application process from application to financing. Was it long, easy? 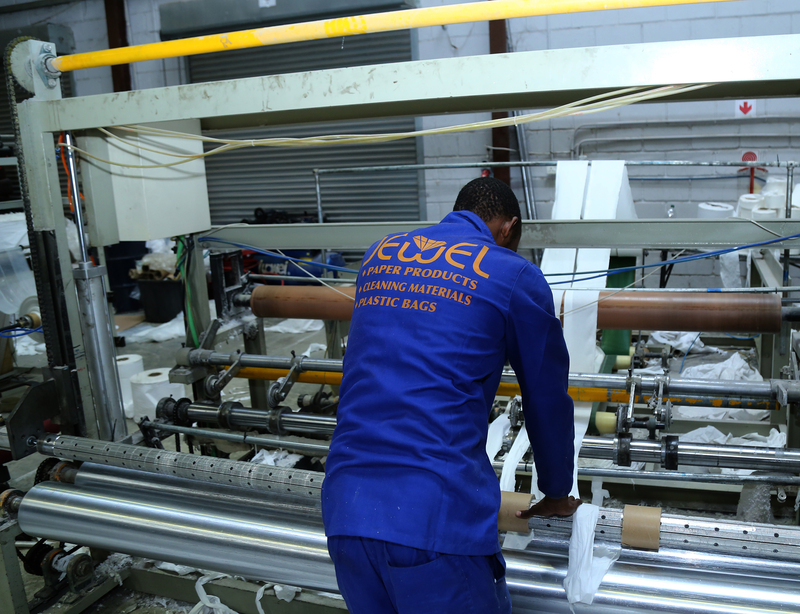 The process was relatively trouble-free as we were conversant with CEDA procedures and processes. We were able to present the business case for the expansion and we were requesting funding for an already established business. What is the current status with CEDA: business advisory & training, assistance & understanding from Portfolio Executives assigned to your project? We did not require any CEDA mentoring as we were already experienced and qualified business managers and previous CEDA mentors. We have an excellent relationship with our Portfolio Executives who provide support when we require it and visit us regularly to discuss our progress and development. We face competition from imported brands which drive our prices down. 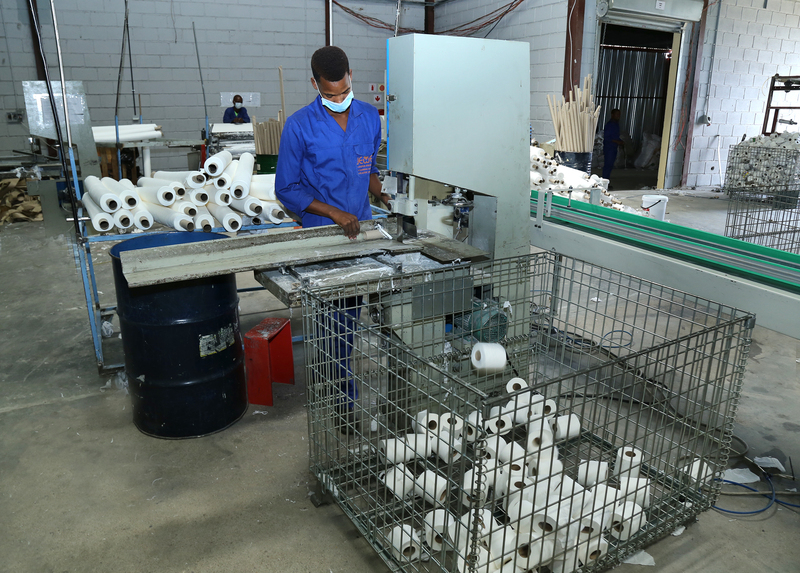 We need more Batswana to buy and support our products to ensure that we are still operating in the years to come. 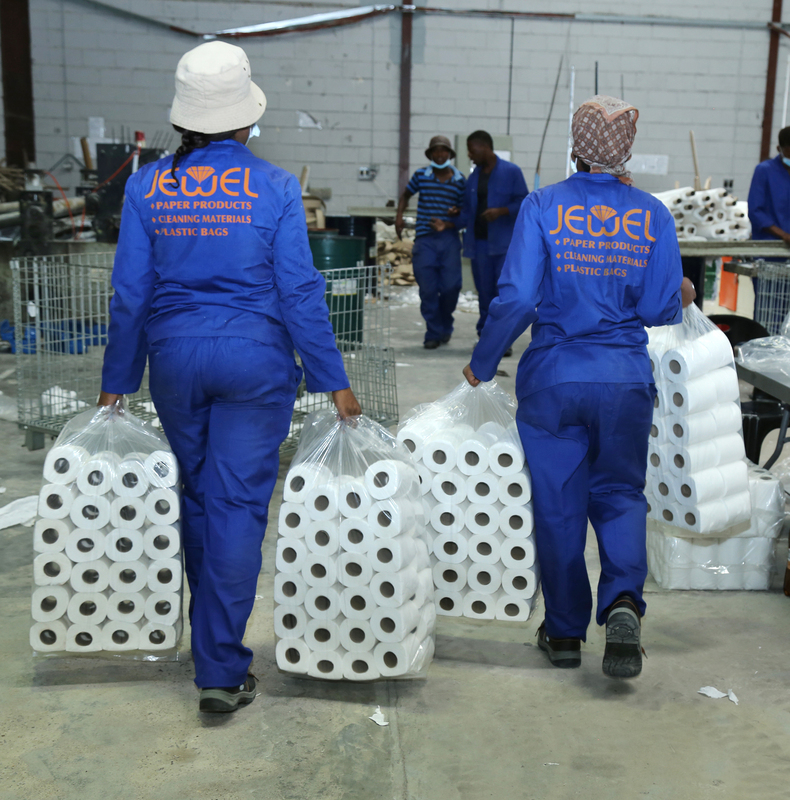 As Jewel Paper Products we offer the clients a one stop solution in the cleaning industry. 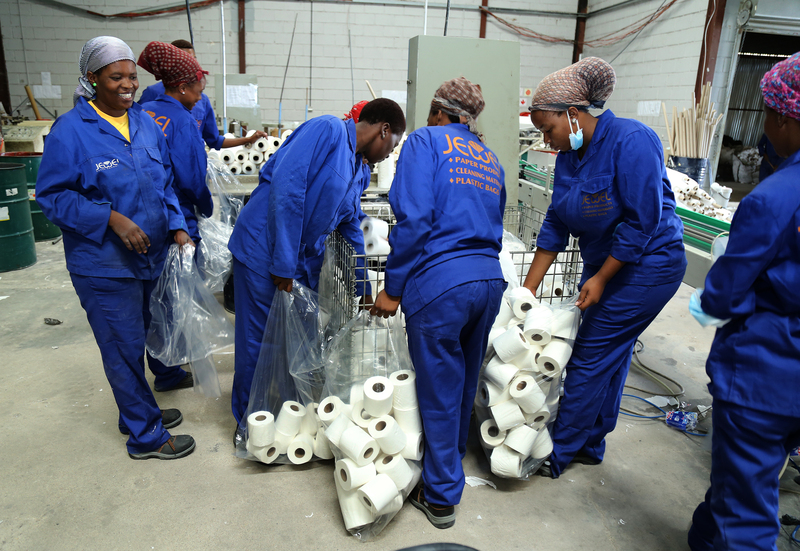 In addition to manufacturing paper and plastic sanitary products, we distribute cleaning products and accessories in order to provide a full basket of sanitary products to our customers. We value our customers and know the importance of all our customers big and small. We recognize that small customers grow into big customers and both need to be nurtured. What key factors lead to business success, specific to your industry? The knowledge of the industry as well as maintaining key relationships with the key stakeholders. Our suppliers are just as important as our customers and we have been successful through the partnerships that we have maintained with both. What business aspirations do you have for your company? 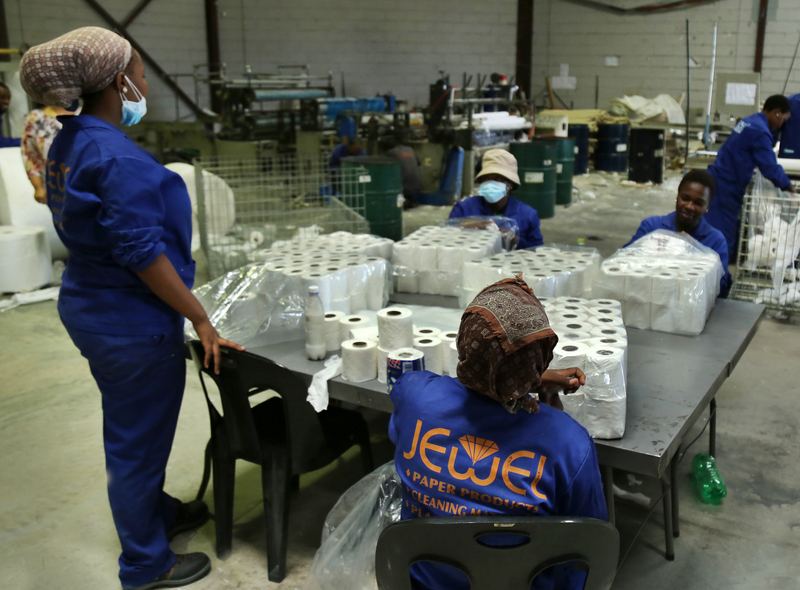 We would like to see our Jewel™ brand grow both locally and in the region. 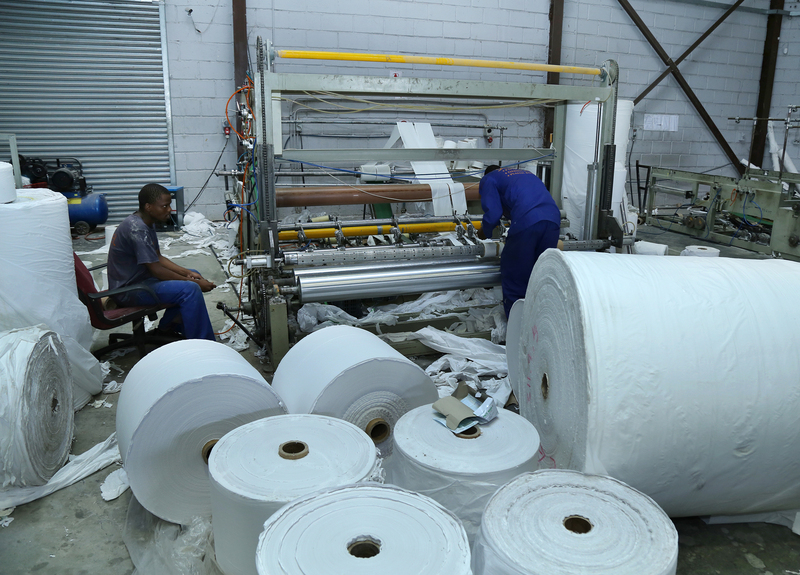 Our vision is to be the leading and recognized Botswana brand in the paper and sanitary disposable industry offering highly differentiated, quality products at competitive prices. How many employees did you initially start with and how many do you have now? 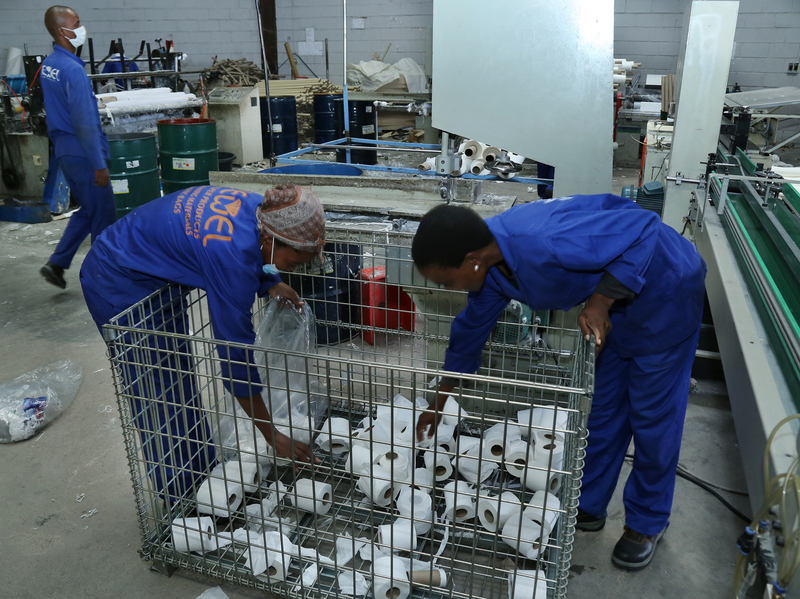 We initially started with 4 employees in 2010 and currently employ more than 50 employees in various departments such as, manufacturing, sales, distribution, administration and management. This goes to show that we have doing something right over the years. How do you maintain relationships with clients? We have a dedicated sales team consisting of sales people and merchandizers around the country including Gaborone, Francistown, Phikwe, Central, Maun as well as Tsabong. We also have sales team in the head office who oversee the branch sales teams. We aslo regularly do follow ups with our customers to check quality control and if they are happy with our product and service. By getting feedback we are able to correct our mistakes whilst also celebrating our successes. What products do you offer your customers? 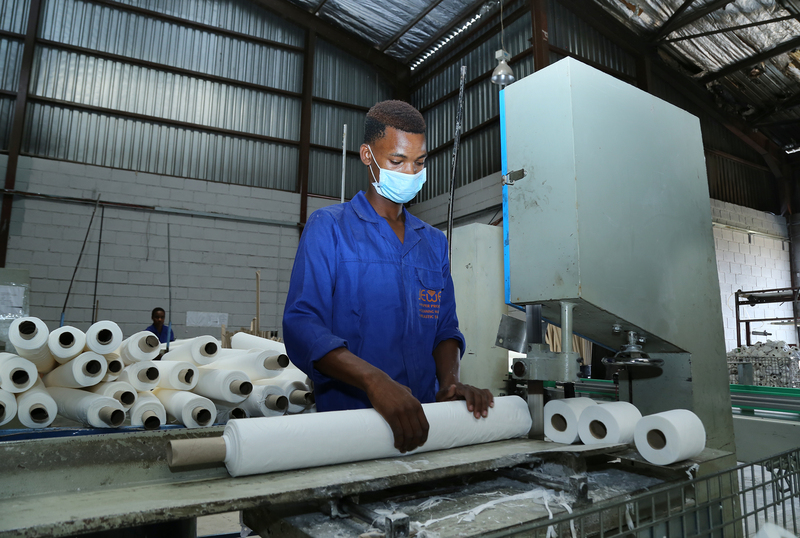 Since 2010 we have been manufacturing product lines such as toilet paper, industrial rolls, paper napkins/serviettes, tissues and folded paper towels. Our plastic products include refuse bags, medical bio-hazard bags, bailer bags and shopping bags. We have been manufacturing and distributing our products throughout the country under the Jewel brand name to retailers and wholesalers. 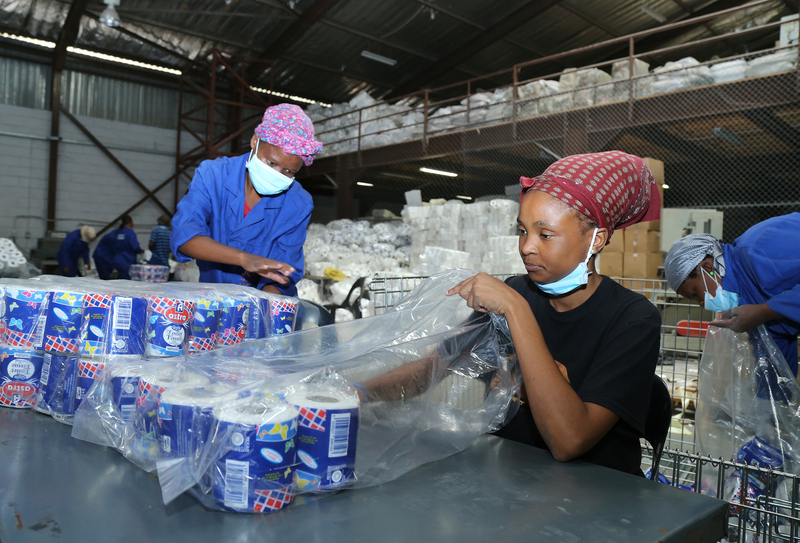 In addition to our own brands, we currently manufacture and distribute toilet paper house brands for Sefalana Group (Astra Brand), Eureka/Trident (Econo Brand) and Tick-Tock Group (Bubble Soft). Jewel Paper Products has a wide reach. 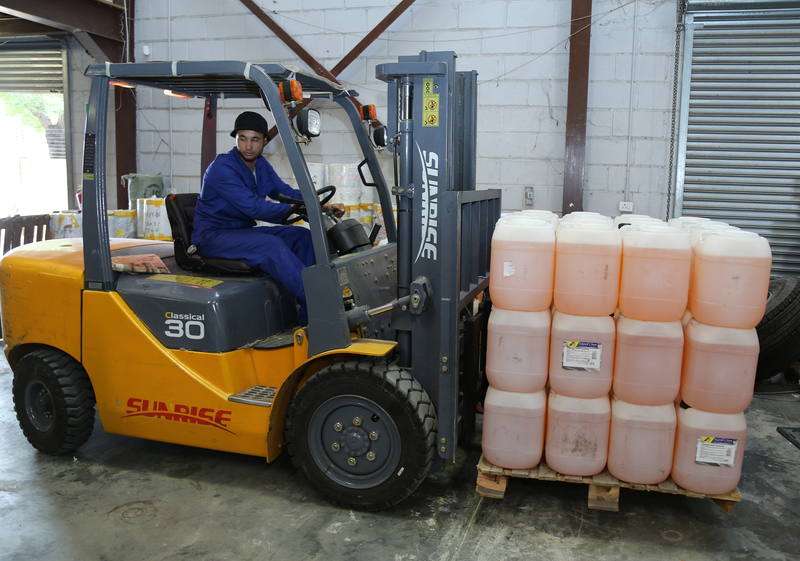 We supply industrial products to institutions, Government Departments, factories, industry, schools, hospitals, caterers, chemical and cleaning companies. 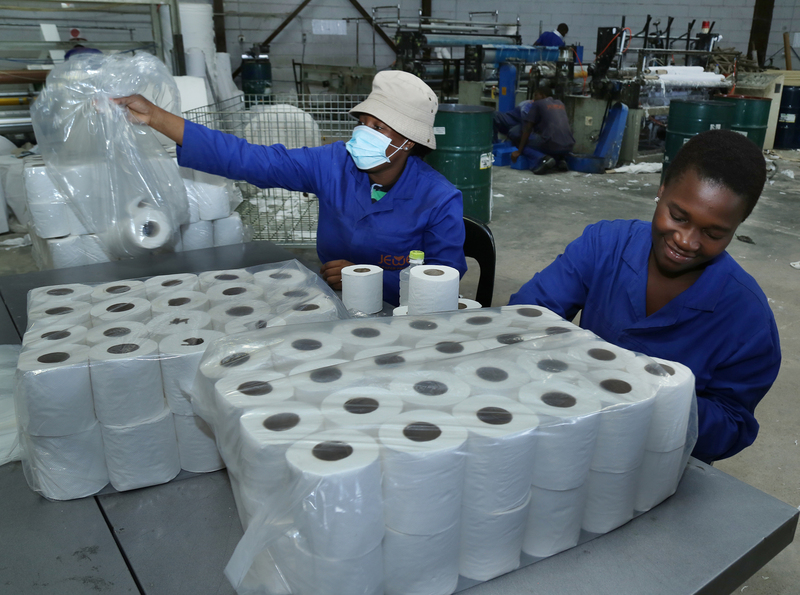 The company currently does its own distribution of all retail, House Brands and industrial products across Botswana including major centres such as Francistown, Kasane, Maun, Ghanzi, Kasane, Tsabong, Selebi-Phikwe and Serowe. As a company doing business in the community we want support the community that we live and work in. We are interested particularly in projects that support young people who are the future of the country. It is important to manage your business and finances prudently and reinvest in your business if you want the business to grow. There is nothing for free! Hard work pays and running a successful business is a 24hour a day investment.